Shri Manish Gupta, aged 46 years, a young and dynamic entrepreneur, is a Commerce graduate with a vast managerial experience of over 27 years. He joined the Company as Director w.e.f. 21st August, 1991. He is one of the promoters and main contributory to the growth and development of Gujarat Ambuja Exports Limited (“the Company”), having net worth of more than INR 1022 crores with a turnover of INR 3377 crores (financial year 2017-18). He is a perfect executionist of the mission and vision of the Company. Shri Manish Gupta, who is well versed in understanding Agro products markets as well as international market, is equally excellent in ensuring growth by improving productivity, cost control, large size operations & consistently improving quality. There has been considerable synergy in his leading in segments of business and his effective contribution has fostered the growth of the Company’s business. His vision on development of Export - Import trade, increasing presence of the Company and its products worldwide and thorough competence in EXIM Policy, Forex and Monitoring Manufacturing operations are unmatched. Shri Manish Gupta has developed a core team to head all the strategic business units and has hands on approach to manage the business. Shri Manish Gupta is overseeing the day-to-day functioning of the Company at all levels. The community focused activities also led by Shri Manish Gupta have been useful to a large number of beneficiaries. He also holds Directorships in other companies namely Maharashtra Ambuja Exports Limited, Maharashtra Ambuja Biotech Limited, Royale Exports Limited (Srilanka), Jay Agriculture and Horticulture Products Private Limited and Jay Ambe Infra Projects Private Limited. Shri Sandeep Agarwal, aged 46 years is a Commerce Graduate and MBA. 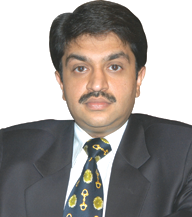 He is associated as Director with the Company since 1995. Presently he is Whole-Time Director of the Company. He possesses varied and rich experience of more than 26 years. His other Directorship includes Sealac Agro Ventures Limited. 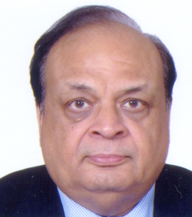 Shri Rohit Patel, aged 72 years, is B.E. II (Electrical) and consultant on Management and Human Resources Management. He is having more than 36 years of experience in training people for Communication - Time Management. He is on the Board of the Company since 30th July, 2005 as an Independent Professional Director. He has been visiting faculty to various organizations, institutions, associations and universities. He is writer of several books on personality development and management. 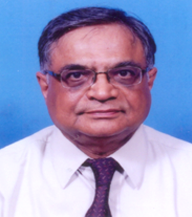 He is also a Professional Lecturer (Guest Faculty) at Bank of Baroda, EDI, AMA, CED, etc. He has established Symcom Corporation in the year 1971, the first private organization to impart training in computers, sales, TOEFL and practical job oriented courses. He is a member of Programme Committee of Ahmedabad Management Association. His other Directorships include Vadilal Chemicals Limited. Shri Sudhin Choksey, aged 64 years, Managing Director of GRUH Finance Limited, is a fellow member of the Institute of Chartered Accountants of India. He is on the Board of the Company since 6th February, 2012 as an Independent Professional Director. He has more than 37 years of working experience of handling functional areas of finance, commercial and general management in India and abroad. His other Directorships include Deepak Nitrite Limited, GRUH Finance Limited, Light Microfinance Private Limited and HDFC Credila Financial Services Private Limited. 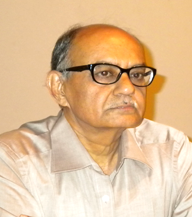 Shri Rashmikant Joshi, aged 67 years, is M.A. (English Literature), LL.B and retired IAS officer. He is Executive Director of Center for Banking Research, Development & Excellence (CBRDE) of Gujarat Urban Co-Op. Banks Federation, Ahmedabad. 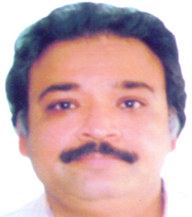 He had joined Indian Administrative Services in 2002 and worked in various Government Departments including as Collector, District Development Officer, Deputy Secretary, Additional Secretary and Director of Petroleum-Government of Gujarat, also Government nominee on the Board of Surat Electricity Company, Gujarat Industrial Power Company Ltd. He is on the Board of the Company since 15th September, 2014 as an Independent Professional Director. He served as Managing Director of Gujarat State Agriculture Marketing Board, Gandhinagar for 2 years. 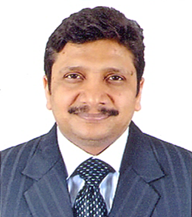 He is having rich experience in the industrial management and functions at executive level. He had also served in Academic field for 4 years. He was Awarded Best Collector’s Award for 2008-2009 by the than Hon. CM Shri Narendra Modi. Shri Vishwavir Saran Das, aged 66 years, is B.A. 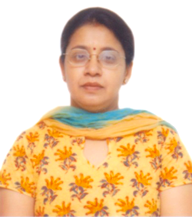 (Economics), MBA (Specialization in HRM) and Certified Associate of Indian Institute of Bankers. He retired as Executive Director in Reserve Bank of India (RBI) where he served for over 36 years in almost all central banking areas. At the time of his retirement on 31st July, 2012, his responsibilities related to the oversight of Financial Stability, Communication, Financial Education and Board matters. He was also the Appellate Authority under the Right to Information Act. During his long tenure with RBI, he has led in many functional areas such as HR, banking regulation/supervision, regulation of NBFCs, foreign exchange regulations,promotion of lending to the priority sectors, financial inclusion and financial literacy, payment and settlement systems, O&M, IT projects, currency management, public debt management and central bank accounting systems and policies. He has served on the Working Group constituted by the Financial Stability Board to study the impact of regulatory reforms on Emerging Market Developing Economies. He is on the Board of the Company since 1st April, 2016 as an Independent Professional Director. His other Directorships include IDFC Asset Management Company Limited and JCB India Limited. He is also on the panel of arbitrators of the National Stock Exchange of India Limited, BSE Limited and MCX Limited, advisor to Gujarat Urban Co-operative Bank's Federation, Open Futures Private Limited & Centre for Tax Awareness & Research. 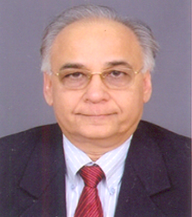 Shri Sandeep Singhi, aged 52 years, is a B.Sc., LL. B. and is an advocate by profession. He is a Partner of M/s. Singhi & Co., Advocates & Notary. He is enrolled as an Advocate with the Bar Council of Gujarat in the year 1989. He is also member of International Bar Association. His other Directorships include The Sandesh Limited, Sintex-BAPL Limited and Sintex Plastics Technology Limited. - Shri Vijaykumar Gupta, due to his sad demise, ceased to be Chairman, Managing Director & Director of the Company w.e.f. 23rd May, 2018. - Shri Mohit Gupta ceased to be Joint Managing Director and Director (Key Managerial Personnel) of the Company w.e.f. close of business hours of 31st May, 2017.